Weddings are filled with hopes and dreams. For many, the promises made that day quickly fade with the ups and downs of everyday life. Shared goals may seem not so shared anymore. Before long, the love and closeness a couple felt fades into memory and divorce now seems like an option. What caused the disintegration of a marriage? In his book Oneness: A Call to Honor God in the Marriage Relationship, author Dean Schendel approaches the relational issues marriages face from the standpoint that selfishness is the root cause of all problems. The situation doesn’t have to be hopeless, as Jesus Christ is the only solution. Schendel experienced divorce firsthand and knows the difficulties couples face in a marriage. He reminds us of our need for Christ, the roles and duties of the husband and wife, and how forgiveness plays an integral role in the marriage relationship. Finally, he discusses other factors that affect oneness in the marriage covenant. Oneness: A Call to Honor God in the Marriage Relationship challenges you to obey what God has commanded for the marriage covenant. Discover what God wants you to know about yourself and His plan for your marriage. There is no fruit in living our own, selfish ways. 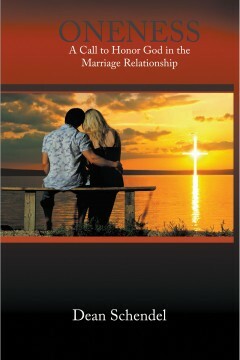 Keeping the marriage covenant together according to God’s design is of utmost importance.